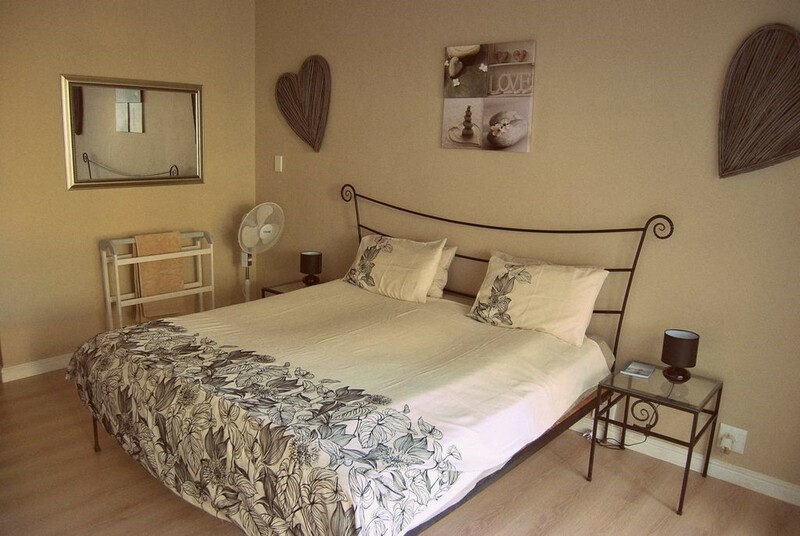 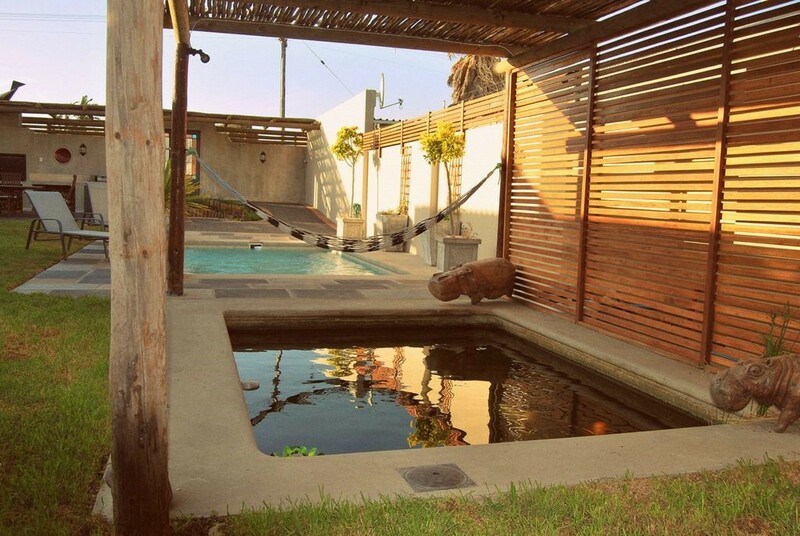 Nicky and Mark welcome you to a stylish and affordable self catering holiday accommodation only five min walk away from the white, sandy and most picturesque Blouberg Beach area with its vibrant restaurants, shops, bars and famous views onto Table Mountain and Robben Island. 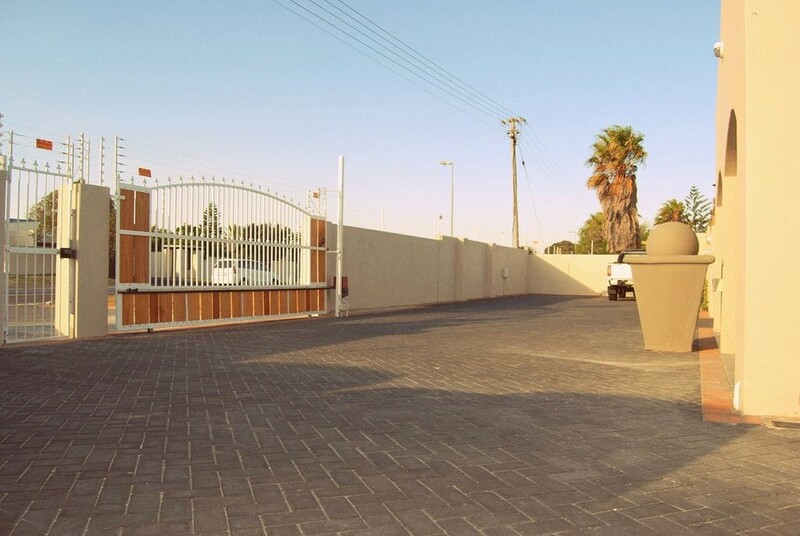 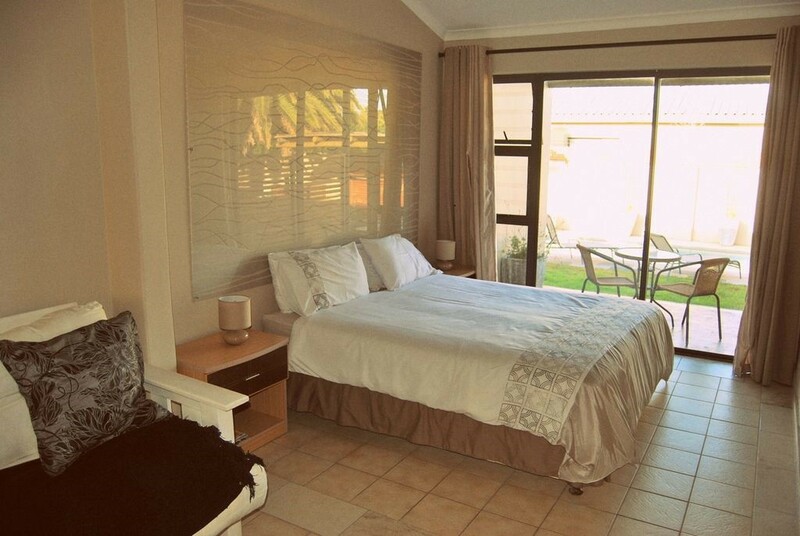 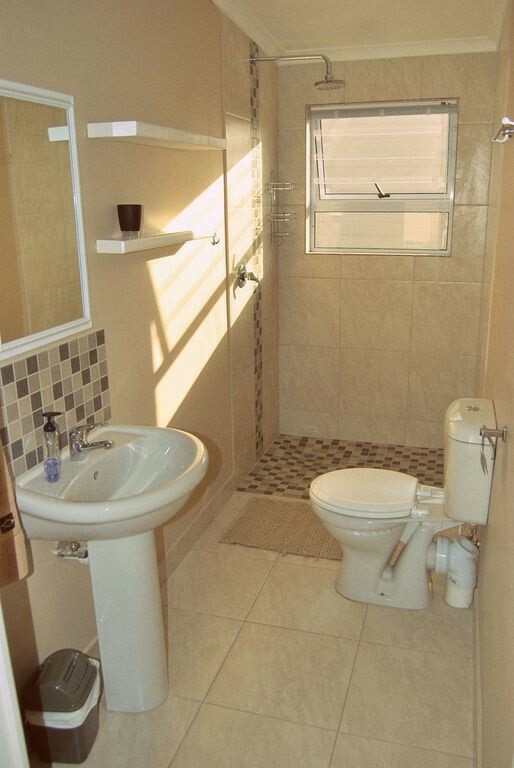 Our six spacious self catering units offers comfortable and stylish en-suite accommodation with kitchenette, microwave, fridge, TV, safe, free Wifi etc. 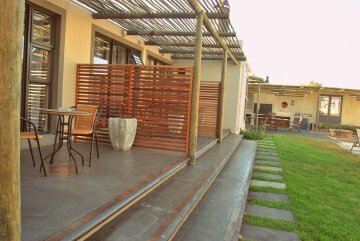 For travelling friends and families some of our rooms provide easy access to one another with four of the units having their own balcony leading onto the pool and garden area. 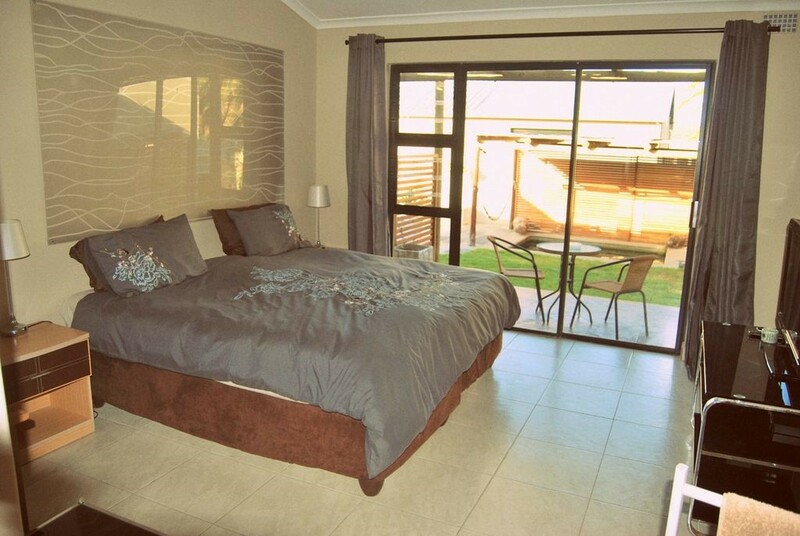 Amenities on offer are King size, queen size double beds or twin beds. 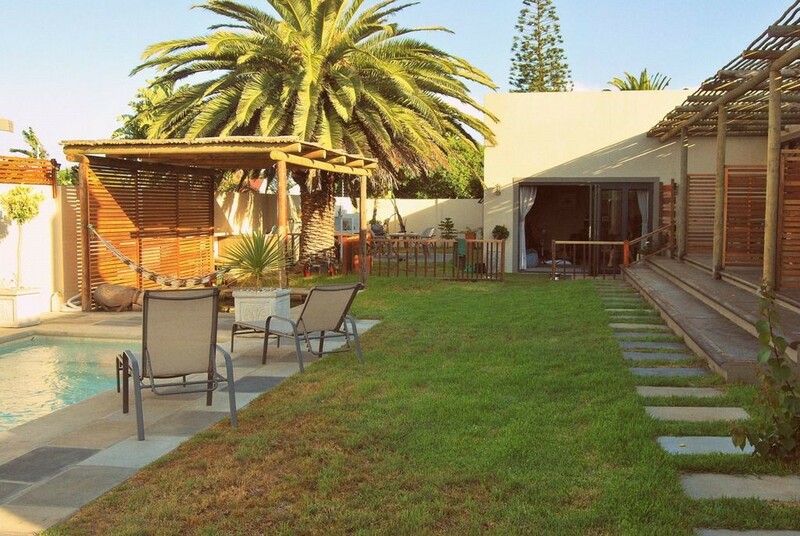 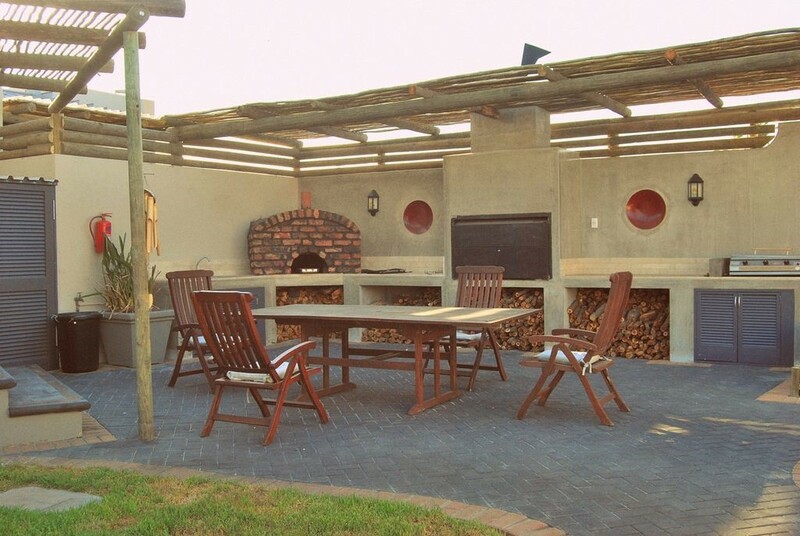 As part of the outside entertainment area you can relax on sun loungers beside the pool, may utilise braai (BBQ), fire pit and outdoor pizza oven and enjoy the stunning surrounding of a beautifully illuminated garden at night with a nice glass of South African wine. 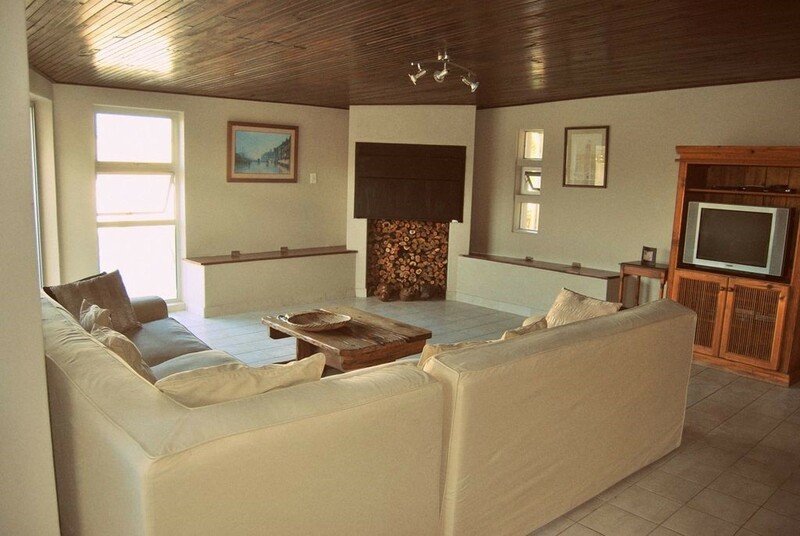 Our communal indoor lounge has an indoor braai(BBQ) and fire for a warm and cosy atmosphere.